Despite the soaring temps, summer in New Orleans is packed with festivals. 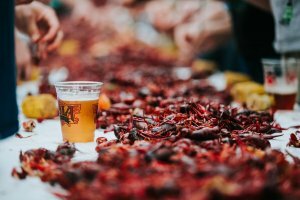 While you won’t go hungry at any of this summer’s music and culture festivals like Bastille Day Fete, Louisiana Cajun-Zydeco Festival, or Satchmo SummerFest, here are six summer events that focus on local food and drink specifically. Schedule: 10:30 a.m. – 8 p.m.
Savor everything oysters at this two-day free fest featuring live music, arts and crafts, and oyster shucking and eating competitions. Lost Bayou Ramblers and Treme Brass Band are part of the lineup; there will also be cooking demos and a Largest Oyster Contest. The vendor lineup has quite a few returning faves, including Acme Oyster House, Oceana, Desire Oyster Bar, Drago’s, Red Fish Grill, Mr. Ed’s Oyster Bar & Fish House, and many more (about 20 vendors total). Schedule: 10 a.m. – 7 p.m. Traditionally held on the second weekend of June, the 32nd Annual French Market Creole Tomato Festival welcomes the arrival of Creole tomato that Louisiana loves to incorporate into many local recipes. The French Market location and the food offerings make this a popular festival among the locals and visitors alike. The festival features live music, kids’ activities, a parade, and a second line. There are cooking demos between 10 a.m. and 6 p.m. on both days at the Louisiana Cookin’ Culinary Stage in addition to an extensive menu of Creole tomato incorporated into gelato, crepes, crawfish pies — you name it. The festival will also feature a Bloody Mary market in Dutch Alley and a tomato-eating contest. 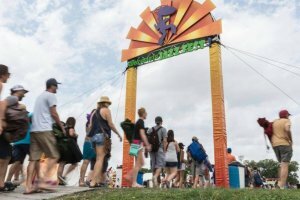 There will be local restaurants and bars offering the Marys, the Marias, and other variations of the signature cocktail, competing for “Best of the Fest” awards in such categories as Most Creative Bloody Mary and Best Bloody Mary Garnish. You can sample a 2 oz. taster of everything in addition to the full-sized, 12 oz. drinks. The festival is spread out between the tents and the stages located at the Farmers Market, the New Orleans Jazz Museum at the Old U.S. Mint, and Dutch Alley. Live music schedule this year features Fredy Omar con su Banda and Little Freddie King on Saturday, and Storyville Stompers on Sunday. This cork-popping annual industry gathering keeps expanding to include more wine and spirits tastings, tours, parties, seminars, book signings, bartender contests, and more, every year. The event draws the worldwide cocktail community with its packed schedule, and this year it will also feature special events to honor the tricentennial. Tales of the Cocktail was conceived as a bar industry networking and education event targeting bar owners, mixologists and other pros, but its focus on celebrating not just trends but history and culture has made it popular with the general public and cocktail enthusiasts from all walks of life. The “best of” Spirited Awards, and the prix fixe tasting menus and food-pairing dinners are especially popular. The tours and cocktail-themed parties also tend to sell out quickly, while the opening night street party is free and open to everyone. There’s no better time to try out an award-winning restaurant during your visit than in August. For the whole month this dining program offers discounted dining deals at participating restaurants located all over the city, and even stretching as far as Harvey and Kenner. Orchestrated by the New Orleans Convention and Visitors Bureau, it was conceived as a promotion to attract diners to local restaurants during the slower summer months. In over a decade, COOLinary kept growing in size and popularity, with over 100 restaurants participating in the past couple years. Those run the gamut from the iconic to the smaller, more casual ones. The list includes the famous Antoine’s, Arnaud’s, Bayona, Commander’s Palace, Domenica, Tujague’s, and Galatoire’s. Billed as a festival for “foodies, farmers and fun,” FAMboree is family-friendly daylong event that emphasizes the “farm to table” concept and its importance for the community. 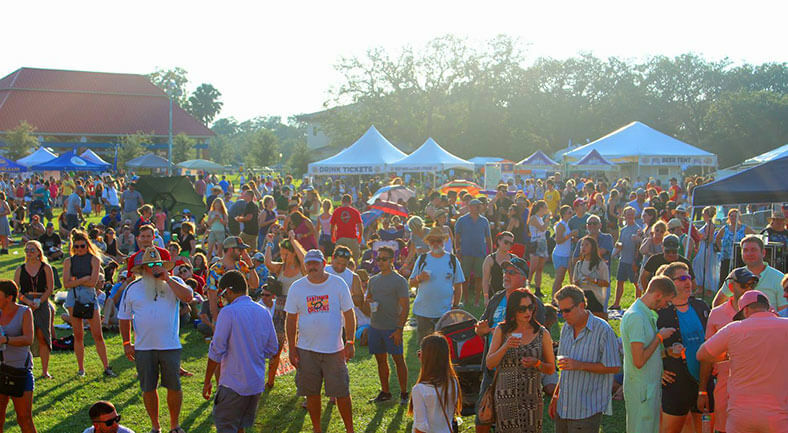 The fest will have live music, tastings, a marketplace, the interactive kid zone, live farm animals, cooking demos by renowned chefs, and more. The free fest is preceded by the industry conference on September 7. Schedule: noon – 7 p.m. This is the largest fundraiser for the Louisiana SPCA and the largest beer fest in the area, with more than 400 beer offerings from the local and national breweries and homebrewers. Wine, margaritas and non-alcoholic beverages will also be available. The festival is kid-friendly, and dogs are welcome as well. Admission is $5, and you’ll have to purchase tickets for drinks (food is cash or credit). Drink ticket packages that include admission are available online. Kids age 12 and under get in for free.